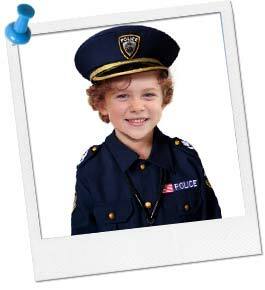 Gather the children outside, and divide them into two groups-the "Cops" and the "Robbers." Choose an object for the robbers to try to "steal." To win the game, the robbers must complete their goal of stealing or touching this object and escaping from the cops. The cops can tag the robbers to remove them from the game or send them to jail. The robbers win if they successfully steal the designated item and take it back to the "getaway car" or "home base." Only one robber must complete this task for the whole team to win. The cops win if they eliminate all of the robbers/send them to jail, or if they protect the designated item for a set time limit. Create a 10' by 10' safety zone around the item to be stolen. The cops may not enter this area at any time, which prevents them from creating a closed blockade around the item. If you wish, create a "negotiating" time limit for robbers to be inside of the safety zone. Any robbers who make it to the safety zone without being tagged by a cop have 15 seconds of "negotiating" time to stand in this area. After 15 seconds, the cops may swarm the safety zone and tag the robber(s). Decide if the robbers should be allowed to throw the object from one player to another. This should depend on what the object is (e.g. a football would be very easy to throw whereas a flag would be very difficult to throw) as well as on the age and strength of the players. Do your best to make game play fair and balanced. If a robber is tagged while running back to the "getaway car" with the object, the cops must return the object directly to the safety zone. At no other time may the cops carry the object. Generally, robbers are only safe in two areas: The safety zone around the "getaway car" (which should be about 20 to 25 square feet), and the safety zone around the object they're trying to steal (should be 10 to 15 square feet, and may have a 15 second time limit). If you're throwing a themed party, you can change the "Cops and Robbers" name to something else that fits better with your chosen theme. For example, the teams could be "Mutants" vs. "Humans," "Martians" vs. "Astronauts," or "Dinosaurs" vs. "Cavemen." You can also modify the rules as appropriate for your theme.